Jody White persevered over the decades to protect the natural beauty and rural, agricultural character of the Santa Ynez Valley. Joanne White, known more affectionately as Jody, passed away after a long life of community service. She was a remarkably committed, generous member of the community and a stalwart defender of all that is good about the Santa Ynez Valley. Jody was born in Whitefish, Montana, on October 16, 1922. Prior to moving to the Santa Ynez Valley in 1982, Jody and her husband, Vernal, lived in a home they built in Malibu Canyon. While Jody began by volunteering in Las Virgenes School District, she ultimately served as a boardmember and president of the district’s Board of Trustees, which gave her insight into the challenges of rapid growth. When Jody and Vernal moved to Santa Ynez Valley, she quickly became enamored of her new home and soon embarked on a long journey to protect its natural beauty and rural, agricultural character. She never expected “someone else” to fight the good fight, but, instead, stepped up to the plate time and time again. She first jumped in as a hospice volunteer and soon became an indispensable member of the Santa Ynez Valley General Plan Advisory Committee, serving for more than two decades. The committee commented on development proposals before the county and later drafted the valley’s first community plan. Jody was known for thoroughly studying every issue and invariably contributing carefully considered, reasoned comments. Jody was a founding member of the Santa Ynez Valley Rural Preservation Alliance, the first organization of its type in the valley. In 1991, as part of the alliance, Jody took on one of the most significant battles faced by the valley, the proposal to build Rancho San Marcos Golf Course adjacent to Highway 154, a scenic state highway, arguing that the proposed golf course would adversely impact agricultural, visual, and water resources; land use; and traffic and fire safety. In 2006, Jody also joined the fight against allowing alcohol consumption, which was explicitly excluded in 1991, at a new restaurant at the golf course. Another of Jody’s passions was preserving oak trees. To that end, she hosted and participated in untold numbers of meetings of the Alliance to Conserve Oak Resources Now (ACORN), which circulated a citizen initiative, the Native Oak Protection Measure, that qualified for the ballot as Measure K in 1998. While that initiative did not pass, it jump-started a process that ultimately resulted in the adoption of the county’s Deciduous Oak Tree Protection and Regeneration Ordinance in April 2003. 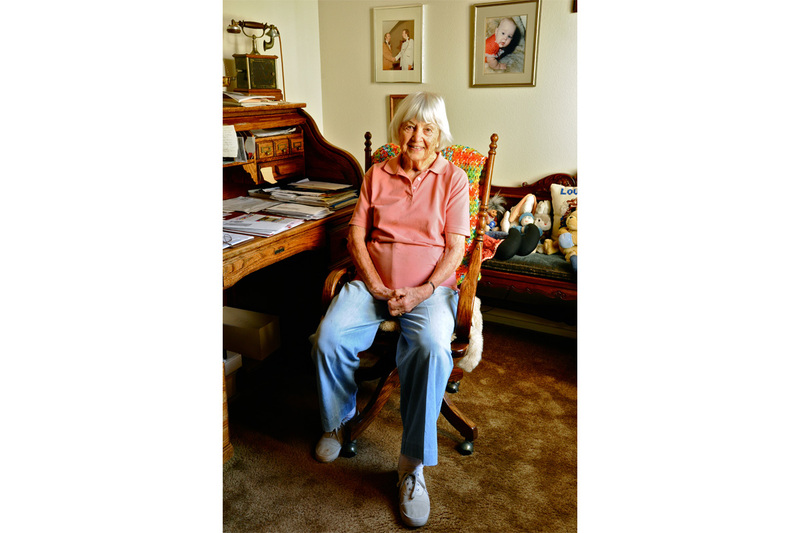 She served on the Scenic Highway Preservation Committee, adamantly and successfully opposing a proposed increase in the speed limit on State Highway 154 from 55 miles per hour to 65 mph through the valley. Jody was an original member of Women’s Environmental Watch (WE Watch), formed in 1992 to fill a void by speaking out for environmental protection in the valley. As a WE Watch boardmember from its inception to 2014, Jody became concerned about the valley’s slowly disappearing dark night sky. She helped to create WE Watch’s now well-known Save Our Stars (SOS) Committee, advocating for appropriate lighting and the adoption of local outdoor lighting ordinances and design guidelines. As an SOS member, Jody helped select Night Sky Protection Award recipients and volunteered with the Astronomy in the Schools program. Jody was a founding member of the Santa Ynez Valley Alliance, which, at its annual meeting in September 2009, honored her with its first Environmental Stewardship Award. She also participated in the two-year Santa Ynez Valley Blueprint visioning process, a collaborative project of Santa Ynez Valley residents. The blueprint examined economic and community development with the objective of maintaining community character, protecting the quality of life, and developing new and needed community resources. The blueprint, published in 2000, informed the subsequent drafting and adoption of the valley’s first community plan. In 2006, Jody received the Environmental Protection and Sustainability Award from Santa Barbara County Action Network for valuing, protecting, and preserving the quality of our natural resources and the environment. Finally, Jody was an avid gardener, growing tomatoes and zucchini every season. She had a killer recipe for zucchini muffins, which were often served at many of the gatherings she and Vernal hosted in their lovely home. Jody moved from the Santa Ynez Valley in August 2014 to Redondo Beach, where she lived until a few weeks ago. Jody was preceded in death by her son Darrell, who died in May 2002, and her husband, Vernal, who died in January 2014. Her son Cliff and granddaughter, Amanda, survive her. Jody served as an inspirational example to others. Those of us who worked with her admired her unrelenting enthusiasm, energy, and loyalty. We will miss her smiling face.